Physician Portal: the reading doctor logs into EMSOW’s PHYSICIAN PORTAL module with their account and uses the built-in features to view images and make reports. 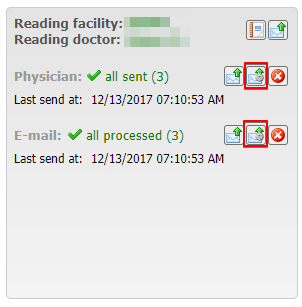 E-mail: the reading doctor receives an email invitation to login and read the images. You can use this method in addition to the first method. PACS: images are sent to an external PACS system via a secure internet connection. 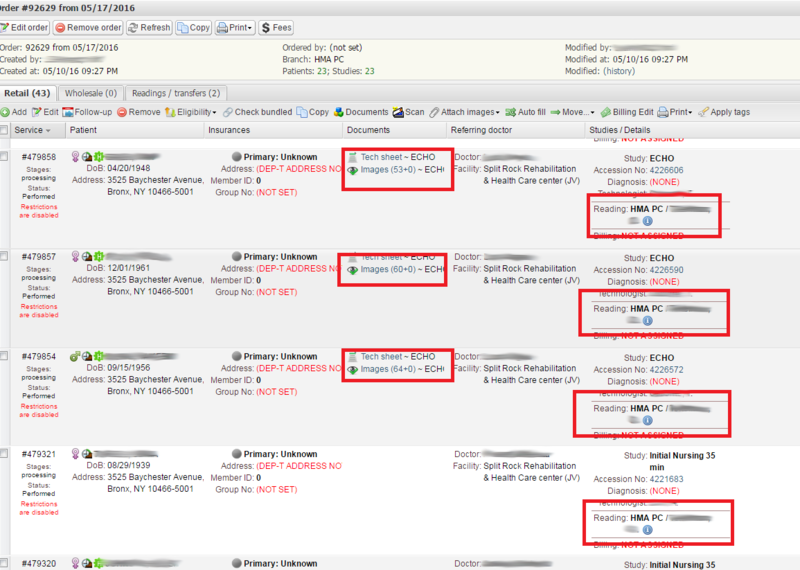 You can choose the preferable way when adding a reading doctor or a reading facility account to EMSOW. 1. The Images and the associated documents are attached in the Documents column. 2. A Reading doctor is assigned to every study. 1. Select the Reading / Transfers tab. 3. 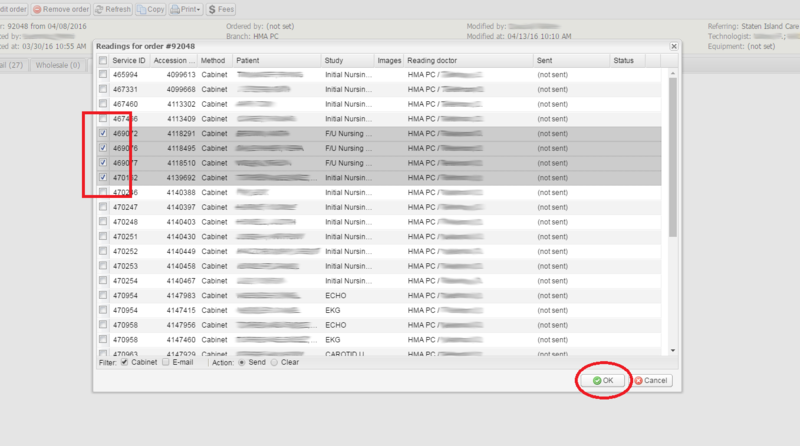 If you need to send only some of the performed studies you can click the Send custom button next to the appropriate sending method, such as Physician Portal.